Love It or Loath It - Yelp Rightly!.. There are many reasons to dislike Yelp, as you'll find via online rants. As legitimate as I have found some to be by experience, you may be a service business like mine that needs to get past those flaws and enjoy the benefits of an online referral tool that works for you 24/7. I travel enough that I would consider Yelp to be a vital resource in strange lands. Especially if you're not cozy stopping locals on the street. In searching a business - if they have a three-star or above, I'll go straight to the one-star reviews. If you're a fair judge-of-character, you can easily deconstruct the bad reviews to discern a credible review from something circumstantial. Often times though, the poor reviews are completely in-congruent to the vast majority of favorable ones. Find enough of them, and chances are you're headed for a great experience that has endured the wrath of a staff member on a bad day. Though not something I have time for, you can always tap that review-writer's profile to discover that they may be a serial, one-star review-writer that needs a good referral for counseling vs. food. In either case, as a Yelp user, my #1 word of advice is DISCERNMENT. A noteworthy number of my clients come from my free Yelp listing. Without fail, I ask every new client how they found their way to me. When stating Yelp or Google search, the question often comes up "Do you ever read the bad reviews on a seemingly good business?". Responding is key, reacting?.. Not so much! Leaving a bad comment without response however, is as much as an admission of guilt. If you are at fault (yes, YOU, as owner need to own it - even if it was a snippy employee) state your accountability and how you've prevented the situation from future occurrence. Yelp until about 2013 when "algorithm-dependent software" was implemented to remove what appeared to be fake reviews. A tool with great intention (so we're told) to stop business owners from setting up a bunch of fake email addresses, and giving themselves a glowing start (or recovery from bad reviews I suppose). It assumes that your first review does not make you a legitimate Yelper, especially if you don't have a profile photo set up. I put that in BOLD for a reason. It affected reviews from some of my most loyal and frequent clients. Why?.. because if your client's great experience was the catalyst to their first Yelp review, chances are that great story will be hidden. The "software" saw them as a potentially fake review-writer with no prior experience or perhaps no profile photo. At least that's how a persistent Yelp advertiser explained it to me. To that, I can tell you that 100% of my filtered responses are wrong. At first I was quite miffed. "How can I prove to you that this person has been my client since 1998? Of all people, why is hers hidden in your back cavern of 'NOT RECOMMENDED' reviews?" 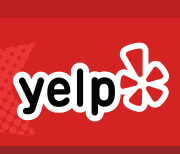 I'm not advising you to scroll to the bottom of every business's review page to click that subtle link, but if you do intent to Yelp, be sure to commit to becoming a Yelper. HOW?.. According to my seemingly competent Yelp-rep, your clients need to have a Yelp history and identity. Assuming this is correct, here's what you need to do as a consumer to make your reviews count. 1: COMPLETE YOUR PROFILE - Add your profile photo to prove you're not a paid reviewer, or your pretty much guaranteed to be wasting your well-meaning time for the business you review. 2: DON'T MAKE ME YOUR FIRST REVIEW (okay, or whoever you really want to share the love with) - Write a great review about a past experience with someone you've already done business with. Someone that wasn't expecting you to add your voice after this long. At the very least, it can't hurt to help them perfect their flawed software until it does what they say it will do. You can always cut and paste that same review to Google to make sure they get noticed.